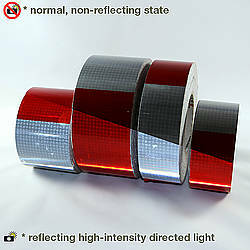 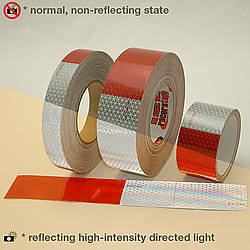 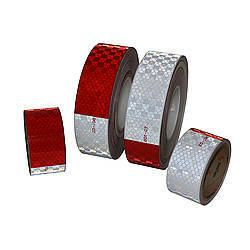 FindTape DOT-GB Glass Bead Reflective Conspicuity Tape is an economical choice for DOT-compliant glass bead reflective conspicuity tape in an alternating red and white honeycomb pattern and 7-years of durability. 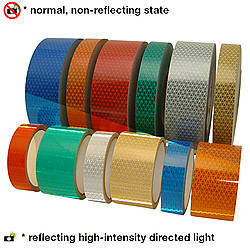 The textured, also known as dimpled or bumpy, surface features light reflections from all directions that it faces resulting in constant higher visibility and improved roadway safety for motor vehicles and other machines. 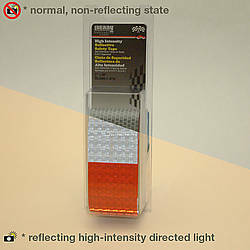 Even though the glass bead limits the distance of the reflection, the wider angles provide more visibility at shorter distances. 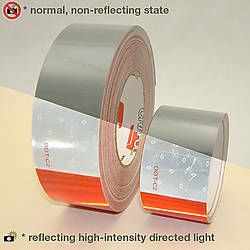 Being UV stable and impact proof ensures longevity without losing any of its characteristics over time. 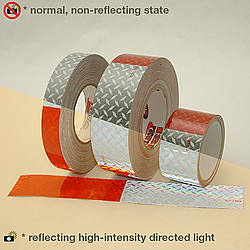 FindTape DOT-GB meets the Federal Motor Carrier Safety Administration (FMCSA) and Federal Motor Vehicle Safety Standard (FMVSS) regulations requiring any trailer truck over 10,000 lbs and over 80-inches wide which are required to have a 2-inch wide alternating red and white pattern marked with DOT-C2 text. The permanent self-adhesive base is suited to work on many different surfaces such as aluminum, fiberglass, steel, and more and is resistant to chemicals such as toluene, number 2 diesel fuel, TSP detergent, and xylene. 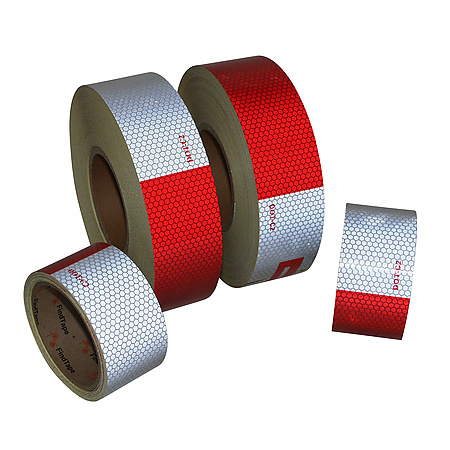 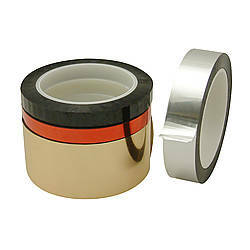 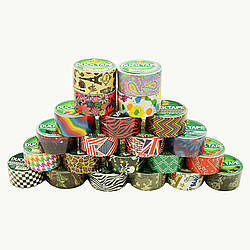 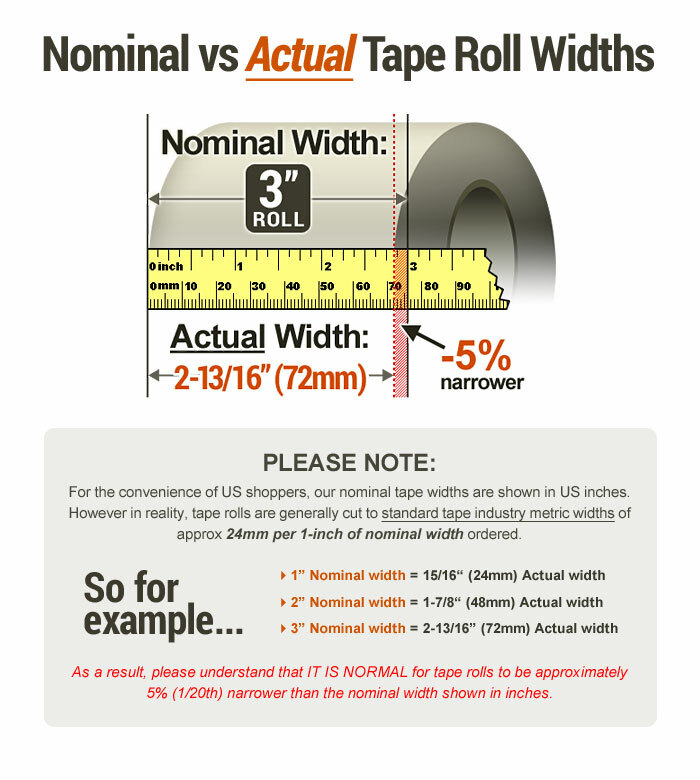 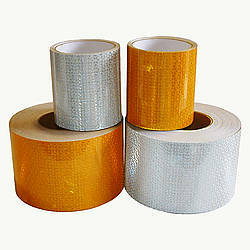 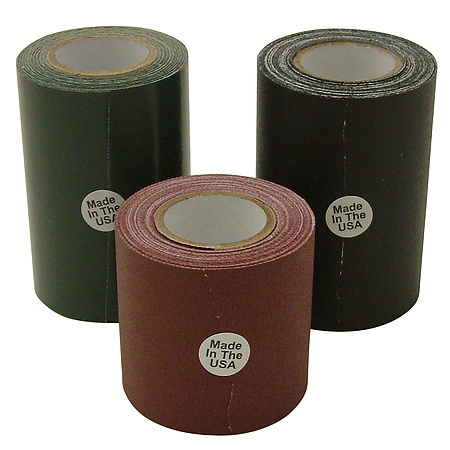 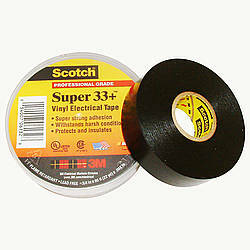 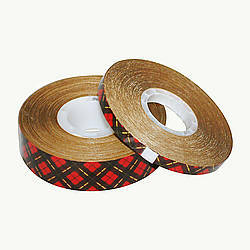 The properties of this tape allow it to be used for numerous applications including transportation vehicles such as vans, buses, trailers, forklifts, tractors, and more.